Tim Bailey is a space geek, husband to a brilliant engineer, father of two adventurous daughters, and proficient at zero gravity flips in multiple axes. 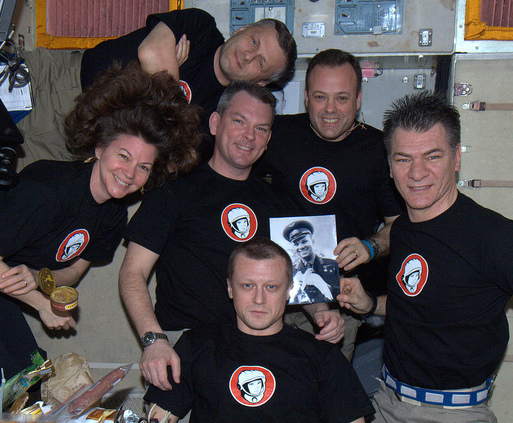 The crew of Expedition 27 celebrate Yuri’s Night in 2011. When I think of “DIY”, I typically think of physical objects. Maybe you do too. At it’s core, the DIY culture is about creating things yourself instead of waiting on someone else to do it for you. Like any community, some people think in a bit bigger and broader terms. The team behind Yuri’s Night created a world-wide space party and sparked a global holiday celebrating human spaceflight. 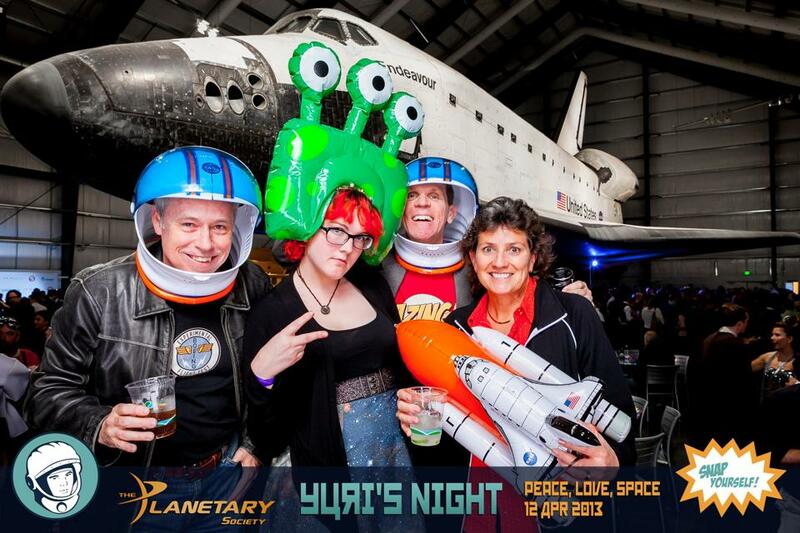 Yuri’s Night is a grassroots global space holiday celebrated around the world every April 12. The date is a dual anniversary in the history of space exploration: Yuri Gagarin launched on the first human spaceflight on April 12, 1961; and the first launch of a US space shuttle was exactly 20 years later when Columbia lifted off on April 12, 1981. Initially conceived as a single event in LA by three friends, the idea for a “party for space” quickly spread to all corners of the planet, via the Space Generation Advisory Council to the UN. Over the years, a team and a non-profit were built to keep a website running, providing publicity and resources for free (logos, music, ideas), and encourage individuals around the planet to create their own unique celebration of human spaceflights. Parties have been organized on all seven continents, on the International Space Station (see above! ), and even on Mars via the Curiosity rover. 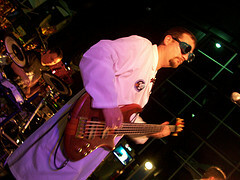 Science + Music in Huntsville, AL. Events have ranged from baking moon-shaped cakes and a home viewing of Spaceballs to a 10,000-person hip-hop concert spectacle. There was an event at a custard stand with telescopes. 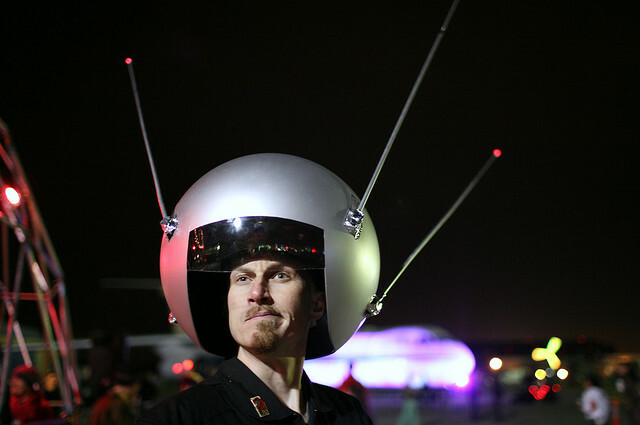 NASA centers around the country have gotten into the spirit too, collaborating with the costumed stormtroopers of the 501st Legion and hosting gigantic art works from Burning Man groups. Even daycare centers and museums have gotten into the mix with space-themed events. In 2009, the TV show Ace of Cakes showcased a cake in the shape of Jupiter created for a Yuri’s Night event at the visitor’s center for NASA’s Goddard Spaceflight Center. “Millions of people have come together in wonder and excitement to dream about where we’re going, explore where we are, and celebrate our spaceflight heritage,” says operations director and master of electrons Jeffrey Alles. “And we do it all on a shoestring budget with an all-volunteer staff.” The Yuri’s Night volunteer team keeps the web servers running and a Twitter account going, but the actual events are all organized individually. If you want to show off your creativity, there’s still time to pull together some ideas, grab your friends, and have your own Yuri’s Night party! Full disclosure: I proudly serve as one of those unpaid volunteers on the Board of Directors for Yuri’s Night and help organize events in Washington, D.C.